Sludyanak is situated on the southern shore of Lake Baikal and famous because of its Transsiberian railway station which is the only station in the world which is made of marble. Sludyanka is a good starting point for tours in the Sayan mountains or the Khamar Daban mountains and the private run Transsiberian and mineral museum are also worth to see. 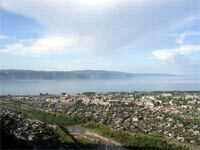 It's about 3km to Lake Baikal and 20min to the railway station by foot (2,5 km). 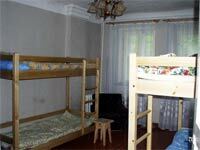 6 people can be accomodated in double rooms. 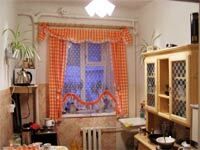 - Take a suburban train or minibuses "Irkutsk - Slyudyanka". A suburban train goes to the train station; a minibus goes to the bus station. If you take a suburban train you should go through the pedestrian bridge to the bus station. At the bus station you should take a minibus #1 going to the micro-district "Rudo". Get off at the stop Magazin #17. After that, you should cross the road and go along by-street Rudnitchniy. Our hostel is the fourth two storey house at the right side (on the cross with Schkolnya street). Mini-Hotel for up to 10 uests in the city center. Double rooms only.